Hypercare keeps providers in-sync to deliver the best care for patients. Why Do People Love Hypercare? Easily get your team started with a frictionless onboarding experience. 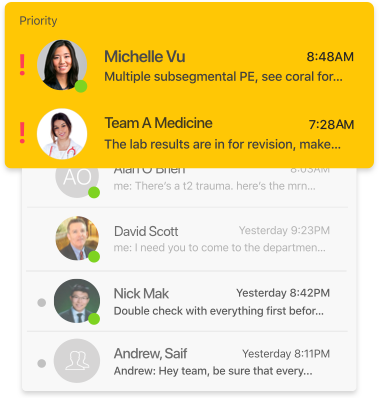 Built by clinicians for clinicians, so it fits well with the existing clinical workflows. Removes anxiety from using a consumer messaging apps. Externally reviewed to be compliant with PHIPA by a specialized health care privacy firm.